How do you go more than 2,000 days without a recordable incident? If you ask CarolinaPower, it’s by making safety the number one goal by staying a step ahead and preventing accidents before they happen. 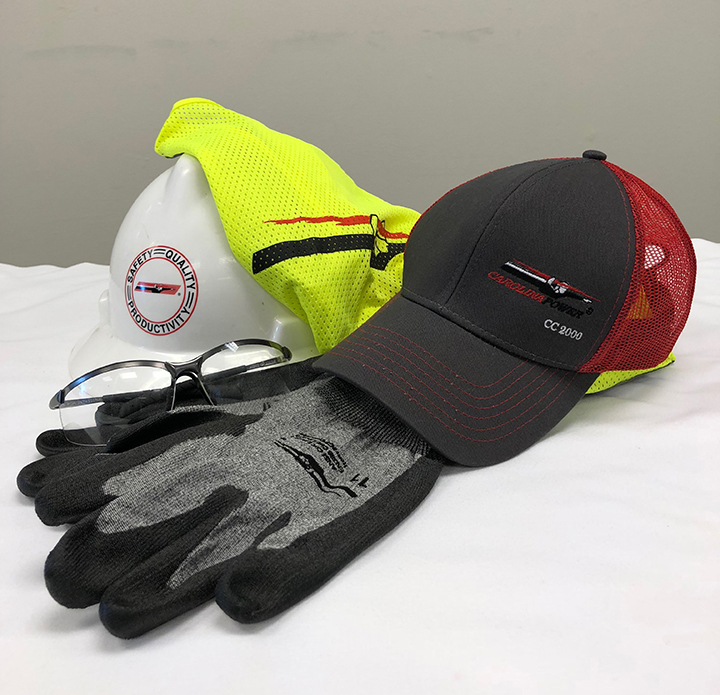 The company celebrated this significant milestone by distributing hats to all CarolinaPower employees and recognition during Safety Week. As part of our proactive approach to safety, we have officially launched a GPS system designed to collect safety data and encourage safe driving habits. MetroPower and CarolinaPower worked closely with Merchants Fleet Management to implement this initiative. Using a program called GeoTab, administrators of MetroPower and CarolinaPower can locate, track and document the vehicles within our fleet. GeoTab also collects data that indicates safe driving habits and shares that information through a method proven to improve driving habits and reduce the chance of accidents. GeoTab has established itself as a world leader in the area of fleet management and vehicle tracking technology. On August 6th, GeoTab began sending weekly reports complete with scorecards for every driver based on these criteria. At MetroPower and CarolinaPower, safety goes beyond holding ourselves accountable for maintaining the highest safety standards and safe working conditions. It’s about taking care of everyone we interact with on a daily basis and eliminating all at risk behaviors – on and off the job.